Spring hangers 1″ Deflection, Spring Hangers for 2″ deflection, Neo Spring Hangers 1″ deflection & Neo spring Hangers for 2″ deflection. These Hanger Isolators consist of heavy duty steel springs& steel brackets. AR015 Super Stock hangers for early B-body Dodge. Dual eye bolt location, 250 steel material. We are specialized in offering a precision range of Spring Hanger Housing to our client. To meet huge market demands, we are involved in offering unmatchable quality of Constant Spring Supports. 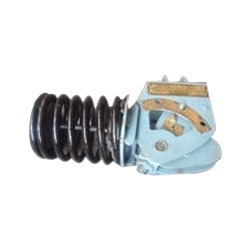 The Constant Spring Supports is known for their longer shelf life. Customers can avail these Constant Spring Supports in different sizes and specifications. Our products are of world class quality and easy to use. Five Travel Ranges: Five travel ranges from 0 to 400 mm / 0 to 15.75 inch, load group C to load group 9. The function of CLH is same as VLH. This Constant Load Hanger is used for suspension of stream pipes for dumping the vibration caused due to flow of high pressure stream. They are manufactured and assembled from fabricated and machined components after testing at deferent stages for ascertaining its performance. 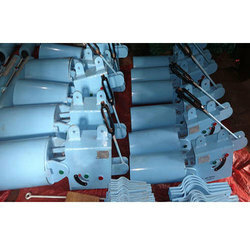 It is used in stream pipe line of thermal power stations. Constant support hangers are used to support pipes and equipment subjected to vertical movement due to thermal expansion. Variable spring hangers are provided in seven canister types and four series to support loads ranging from 13.0 kg to 27, 000 Kilograms. An inventory of assemble variable spring hangers and rigid hanger components ready for assembly are maintained to enable AAA Supports to respond promptly to our customers' needs. he Constant load hanger uses the Bell Crank Lever & helical spring mechanism to provide a constant supporting force over its entire travel range. - Frame sizes 1 to 8 provide a max supporting force of 35, 000 kgs with total movements upto 750mm. Constants use a spring coil (or series of coils) to accommodate pipe movement from the initial (installed) condition to the final (operating) condition of the piping system. For all constant spring supports there is no difference in load and the supported load will remain uniform throughout the deflection cycle.